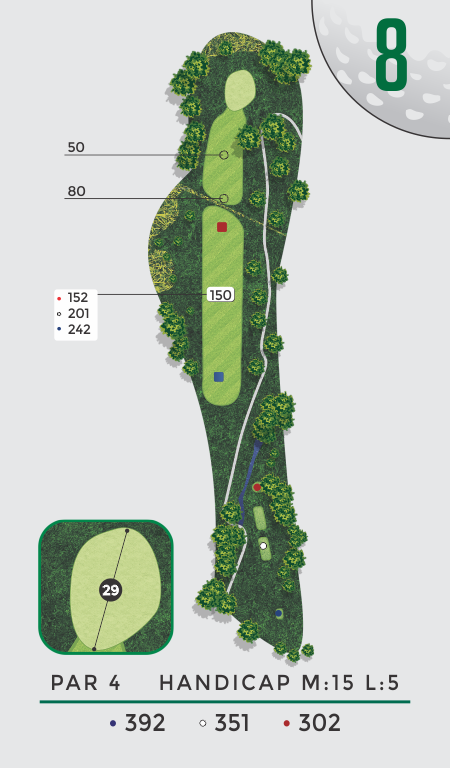 Keep an eye out for the lateral hazard in the left rough 250 yards off the tee. A large pin oak tree near the green will cause difficulty if your tee shot strays too far into the right rough. A very golfer-friendly green can be reached with short iron shots.